‘I live to eat’ is one of the most famous line said by food connoisseurs across the world. But there are millions of people who do not get to see the light of the next day just because of hunger. Hunger is the number one cause of death in India. They say the best part about a wedding is the food. Why not share our delicious food with those who are deprived of the basics? Trust us, the joy you’ll receive after sharing the excess food of your wedding will be greater than receiving your favourite gift. We’ve jotted down some organisations in major cities that will collect the excess food and make it accessible to the needy. Annakshetra- The first one to start this trend back in 2010, Annakshetra is a Jaipur based organisation that aims to eliminate food wastage and ensure optimum utilization of resources. Their beneficiary base includes—minimum wage workers from vegetable markets, waste workers, daily wage workers, severely malnourished children, etc. Their van collects the excess food mainly at night which is then stored in refrigerators. It is donated to the beneficiaries only after its declared fit for consumption by medical experts. Currently they are also doing extensive research on food waste and its impact on water, carbon footprint, arable land, and the overall environment. 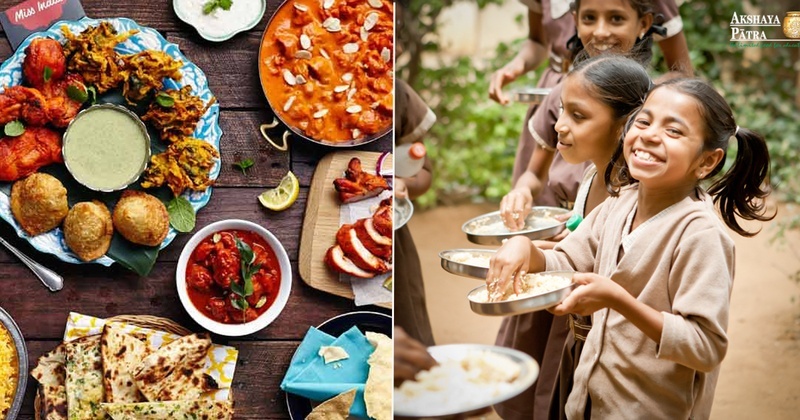 Mera Parivar- Mera Parivar primarily works in the field of education but they also collect excess food from restaurants, individuals and weddings. The food will be distributed to the underprivileged children who study there. Roti Bank by Dabbawalas- The world famous dabbawalas of Mumbai have started a social initiative known as ‘Roti Bank’. They collect food from birthday parties, weddings and even from individual houses in small quantities. R.B. Shivakumar- The sight of tons of pulao being thrown away made R.B. Shivakumar’s blood boil. He channeled his anger towards a better thought- to collect excess food from the city and to donate it to the needy. He tastes the food himself before distributing. Also, only vegetarian food is allowed. Wrap It- Wrap It in Chennai is associated with Reunite to Redefine India's [RRI ] awareness program. They collect food from parties, weddings and restaurants. You can message them on their Facebook page. Robin Hood Army- Inspired by the bedtime story character, the Robin Hood Army doesn’t steal but collect food and distribute it to the poor. They operate in more than 41 cities such as Mumbai, Delhi, Jaipur, Ahmedabad, Ambala, Chandigarh, Udaipur, etc. Feeding India- Feeding India is a youth run non profit organization to end hunger and malnutrition. They operate in more than 57 cities such as Ahmedabad, Pune, Nagpur, Delhi, Mumbai, etc. You can call their helpline- +91- 9871178810 or check their website. Food for thought: Share your happiness with those who are deprived of it. Make your wedding memorable for everyone!